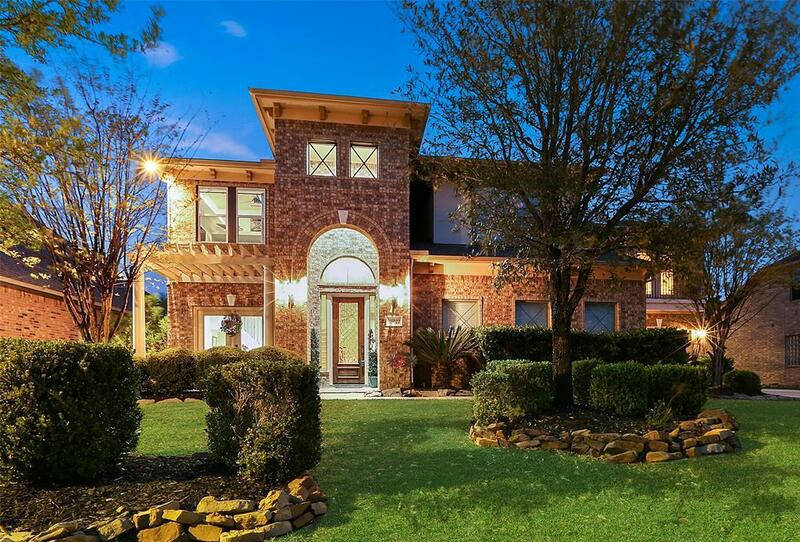 Auburn Lakes Retreat 5 bedroom dream home with backyard paradise! Over 5000 sq. 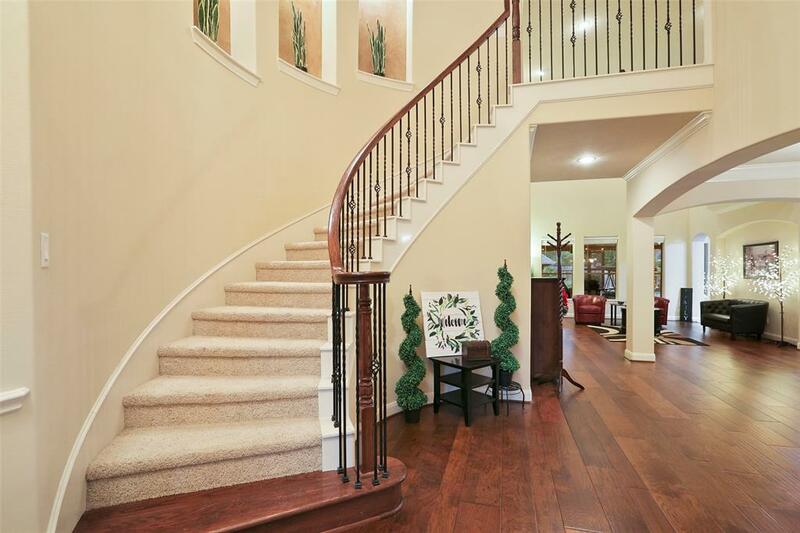 ft of living welcomes you with beautiful hardwood flooring, elegant entry way into two story living room. Formal dining room. Three stone gas fireplaces. Custom island kitchen w/granite counters and breakfast bar. Tall pantry and separate laundry room w/built in cabinets. Master bedroom w/extended sitting area and door to outside patio. Master bath features separate vanities, jetted tub and shower, and large walk in closet. Upstairs game room and media room along with four bedrooms. Dual offices up and down. Secret "retreat" located above downstairs office. Backyard oasis includes covered patio with rollaway mosquito net doors. Step down into a unique outdoor kitchen with brand new grill and poolside swim up bar. Waterfalls on both sides of the pool and spa. Zoned to the new Hofius Intermediate and Klein ISD. Close to Augusta Pines and Willow Creek Golf Courses. 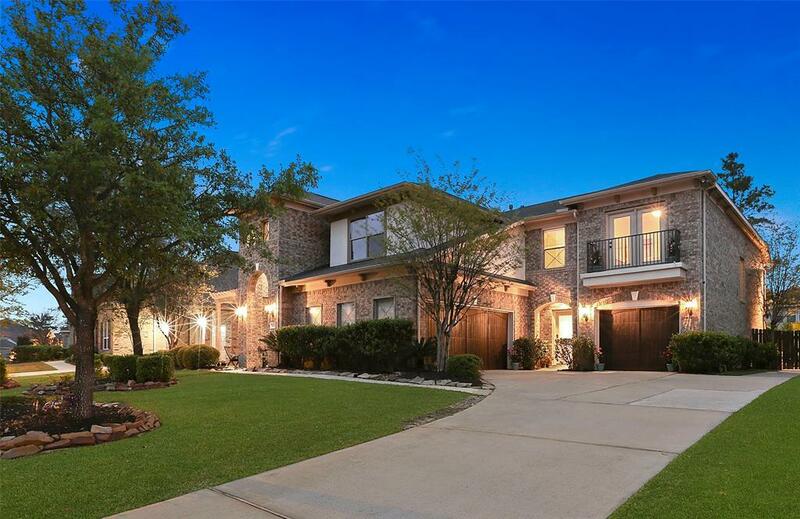 Close to The Woodlands & Grand Pkwy.